\item 3040 million in 1960. \item $t$ in years since 1950. 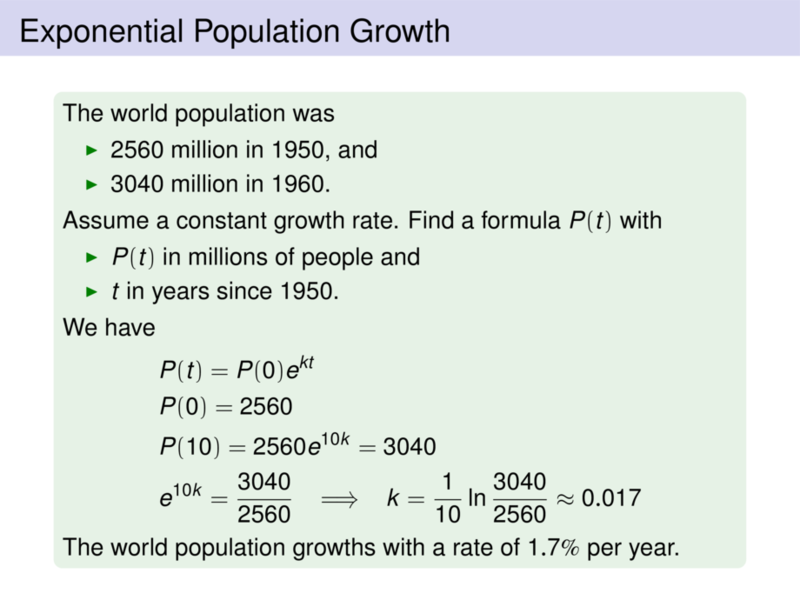 The world population growths with a rate of $1.7\%$ per year.